Nicolle, p. 57: “The subsequent Muslim conquest of many of the same regions [Syria, Cilicia, Egypt] brought the Arabs to the shores of the Mediterranean for the first time as a great military power and as the inheritors of Sassanian naval traditions. On the other hand the Arabian peoples had a far more active naval heritage than their initially cautious attitude to the Mediterranean might suggest. The pre-Islamic Yemenis and perhaps Omanis had, for example, been raiding Sassanian territory by sea since at least the 4th century AD while various other tribes from both the Gulf and Red Sea coastal regions of Arabia had similar maritime traditions. Here it is worth noting that, following the first wave of Islamic conquest, these same Yemini and other coastal Arab tribes were often selected as garrison troops for strategic coastal bases including Alexandria. “In response to the challenge by new Arab-Islamic fleets, a more powerful Romano-Byzantine navy would emerge in the late 7th century. The ‘Battle of the Masts’ would not be the last naval encounter between these two rivals. Indeed, later Byzantine attempts to retake Egypt would convince Mu’awiya, the governor of Syria and subsequently the first Umayyad Caliph, of the need for a full Islamic navy in the Mediterranean. “The first such fleet was built in Egypt, where all qualified sailors were registered for naval service. Although many of these sailors were in fact Christians, the bulk were Yemeni in origin and Muslim in religion. The new fleet used Tyre and Acre as forward bases while Iranian and Iraqi shipwrights were brought from the Gulf to build and man the new or restored shipyards at Acre, Tyre and Beirut. “Other naval bases and fleets were established in newly conquered Tunisia and later in Libya; the resources of wood, iron and tar essential for naval warfare all being available in North Africa. From the early 8th century onwards these new Islamic fleets undertook almost annual raids against Byzantine territory and islands in the western Mediterranean, mirroring the annual raids undertaken on land. 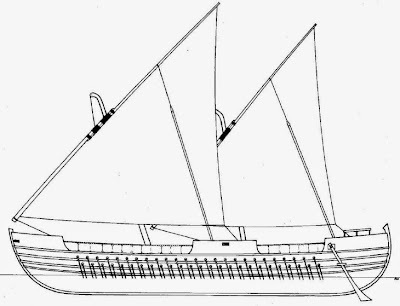 “If there were any real differences between Byzantine and early Islamic warships, it would seem to have been in the increased height of the forecastle of the latter. This was soon used to mount stone-throwing engines and to provide an advantage when boarding enemy vessels. The main fighting ship was a galley called a shini which, like the Byzantine galleys of the day, had between 140 and 180 oarsmen. It is also important to note that, with very few exceptions, the oarsmen in medieval galleys, be they Christian or Muslim, were paid volunteers not slaves. “By the mid-8th century such galleys defended themselves against the terrifying Byzantine incendiary weapon known as ‘Greek fire’ using various systems of water-soaked cotton, and would shortly use Greek fire themselves. However, the vessels of the rival naval powers remained remarkably similar, as there was an exchange of both technology and terminology between them. 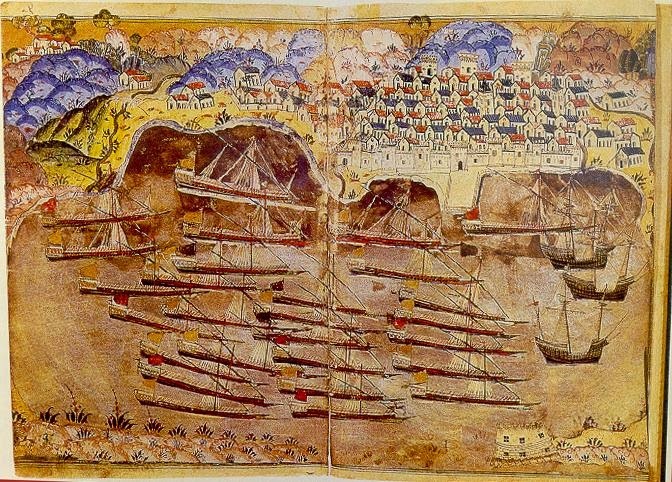 In 1453 the Ottoman fleet participated in the historic conquests of Constantinople, Gökçeada, Lemnos and Thasos. The conquest of the Duchy of Athens in Morea was completed between 1458 and 1460, followed by the conquest of the Empire of Trebizond and the Genoese colony of Amasra in 1461, which brought an end to the final vestiges of the Byzantine Empire. In 1462 the Ottoman fleet conquered the Genoese islands of the northern Aegean Sea, including Lesbos. This was followed by the Ottoman-Venetian War of 1463-1479. In the following period the Ottoman fleet gained more territory in the Aegean Sea, and in 1475 set foot on Crimea on the northern shores of the Black Sea. Until 1499 this was followed by further expansion on the Black Sea coasts (such as the conquest of Georgia in 1479) and on the Balkan peninsula (such as the final reconquest of Albania in 1497, and the conquest of Montenegro in 1499). 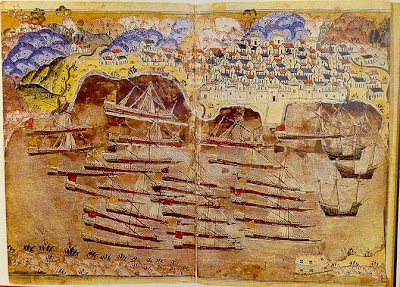 The loss of Venetian forts in Montenegro, near the strategic Castelnuovo, triggered the Ottoman-Venetian War of 1499-1503, during which the Turkish fleet of Kemal Reis defeated the Venetian forces at the Battle of Zonchio (1499) and the Battle of Modon (1500). By 1503 the Ottoman fleet raided the northeastern Adriatic coasts of Italy, and completely captured the Venetian lands on Morea, the Ionian Sea coast and the southeastern Adriatic Sea coast. The restored Byzantine Empire was conquered by the Ottoman Empire in 1453 while the Empire of Trebizond managed to survive until 1461, when it too was conquered by the Ottoman Empire. Manuel III (1390–1417), the second son and successor of Alexios III, allied himself with Timur, and benefited from Timur's defeat of the Ottoman Turks at the Battle of Ankara in 1402. His son Alexios IV (1417–1429) married two of his daughters to Jihan Shah, khan of the Kara Koyunlu, and to Ali Beg, khan of the Ak Koyunlu, while his eldest daughter Maria became the third wife of the Byzantine Emperor John VIII Palaiologos. Pero Tafur, who visited the city in 1437, reported that Trebizond had fewer than 4,000 troops. Alexios IV's eldest son, John IV (1429–1459), could not help but see that his Empire would soon share the same fate as Constantinople had suffered in 1453. 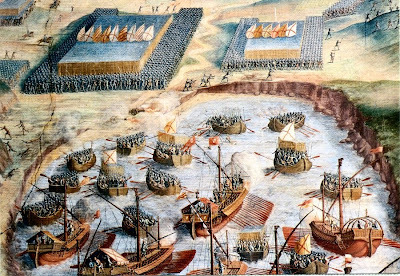 The Ottoman Sultan Murad II first attempted to take the capital by sea in 1442, but high surf made the landings difficult and the attempt was repulsed. While Murad's son and successor, Mehmed II, was away laying siege to Belgrade in 1456, the Ottoman governor of Amasya attacked Trebizond, and although defeated, took many prisoners and extracted a heavy tribute. John IV prepared for the eventual assault by forging alliances. He gave his daughter to the son of his brother-in-law, Uzun Hasan, khan of the Ak Koyunlu, in return for his promise to defend Trebizond. He also secured promises of help from the Turkish emirs of Sinope and Karamania, and from the king and princes of Georgia. After John's death in 1459, his brother David came to power and misused these alliances. David intrigued with various European powers for help against the Ottomans, speaking of wild schemes that included the conquest of Jerusalem. Mehmed II eventually heard of these intrigues, and was further provoked to action by David's demand that Mehmed remit the tribute imposed on his brother. Mehmed's response came in the summer of 1461. He led a sizeable army from Bursa, first to Sinope, whose emir quickly surrendered, then south across Armenia to neutralize Uzun Hasan. Having isolated Trebizond, Mehmed quickly swept down upon it before the inhabitants knew he was coming, and placed it under siege. The city held out for a month before David surrendered on August 15, 1461. With the fall of Trebizond, the last remnant of the Byzantine Empire, and thus also of the Roman Empire from which the Byzantine Empire sprang, was extinguished. 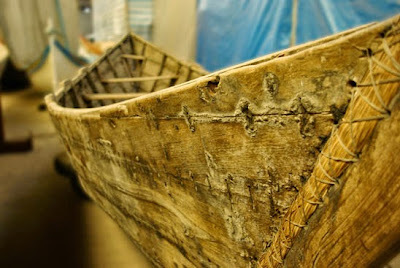 An example of a sewn boat. Photo credit: World of Boats. Marine archaeologist and researcher at the Centre National de la Recherche Scientifique (CNRS) in France, Giulia Boetto, has announced the incredible discovery of a boat wreck in Zambratija Cove, Croatia, which has just been dated to 1,200 BC. The unique and rare finding is a Bronze Age sewn boat, a type of wooden boat which is literally sewn together using ropes, roots, or willow branches. 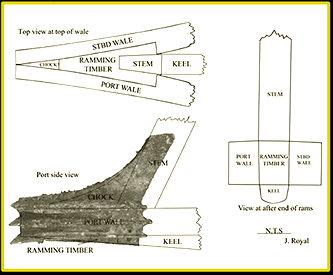 The Ancient Warship Archaeology Program (AWAP) was initiated after the discovery of numerous warship rams in the Egadi Islands, Sicily. Together with previous ram discoveries, this increase in the corpus of rams provides a signficant body of evidence for warships studies from an archaeological perspective. Having relied almost solely on literary, iconographic and indirect architectural evidence to date, it is now possible to bring archaeological evidence, direct evidence, to this study. Research objectives include warship construction, ram construction and function, warship tactics, warship deposition. Is a bronze warship ram a weapon? The definition of weapon is really quite broad being anything used to cause harm, injury, or damage. Such a definition can include almost anything including a roof tile that killed an invading King Pyrrhus in Greece. More instructive for this discussion is to limit ‘weapons’ to those objects that were purposefully manufactured for use in warfare, and are a composite of several materials. In antiquity weapons can be broken into two main categories: ranged and melee. Ranged weapons are designed to shoot a projectile and inflict harm at a distance from the wielder of the weapon. These type weapons included javelins, bows, catapults, and slings. Melee weapons were used in a manner that the wielder maintained contact with the weapon as it inflicted harm. The most common weapons of this type were swords, spears, axes, daggers, clubs, maces, and hammers. A warship’s ram was part of a larger weapon, the warship, which falls within the broad category of melee weapons. The warship was powered and wielded by individuals who were required to stay with it and directly operate the vessel for it to function. Warships were not propelled forward to travel unmanned with intention to strike another warship, a case where they would be ranged weapons, rather the crew and officers directly propelled and steered them into their intended targets. In addition to being a component of a weapon, the warship, a bronze ram also served in the capacity of armor. Armor is a covering of material that is designed to offset the penetration or impact force of projectile or melee weapons. Clear examples are the body armor worn by soldiers in antiquity that protected the soldiers’ skin, and in some cases helped to protect the bones. One of the key personal armor elements was the helmet that was typically constructed of bronze or iron and had an intervening padded section with the wearer’s head; this system helped to protect the skull from being easily penetrated or shattered. Not unlike the helmet, or the hilt guard on a sword, the ram had a protection role. As noted, a bronze ram on the bow of a warship helped to project the timbers that most often came into direct contact when delivering the weapon’s blow. Without a protective function as consideration, there is little need for the cowl and bottom plate/tailpiece. The important structural keel and stem timbers required protection as did the intricate scarfs at the bow; damage here could easily render the entire warship unserviceable. During the 14th–16th centuries, a class of clinker-built, oared ship, with a single mast and sail. Originating in the Basque whaling industry, its design migrated to England where balingers were used in war and trade, displacing English galleys from local waters during the 14th century. A small oared warship used for raids and amphibious assaults in the isolated West Highlands and outer islands of Scotland. They were still in use into the 17th century. 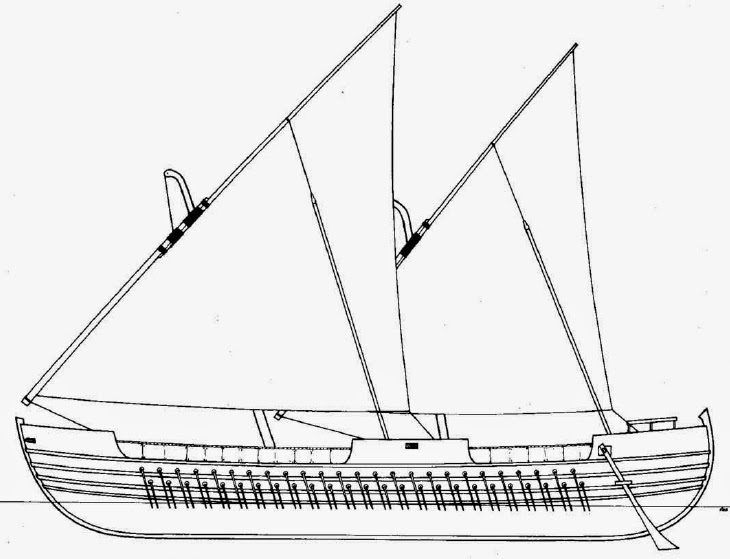 In the 14th–15th centuries, a mid-sized ship representing a redesign of the cog. It could be fitted for trade, war, or both (as an armed merchantman). It was first laid in the Mediterranean, where the skeleton-built system of the south blended with the clinker-built designs of the north to produce this hybrid. In northern waters it was called a carrack. A Dutch merchant ship developed as a coastal warship by the Sea Beggars. A shallow-draughted, wide-beamed cargo vessel, it was designed to carry trade in the shallow waters of the Netherlands coast and river estuaries. In wartime its sturdy hull accepted a heavy brace of guns. Cromsters also were popular with English allies of the Dutch. ‘‘Dragon ship(s).’’ A generic term for any very large warship, but notably a longship. Large, two-masted Chinese junks capable of blue water voyages. They carried a crew of about 100. While they sported numerous swivel guns, muskets, bows, fire lances, and other anti-personnel weapons, their weak planking could neither support nor withstand large-caliber broadside artillery. An oared warship smaller than a galliot and much smaller than a war galley. 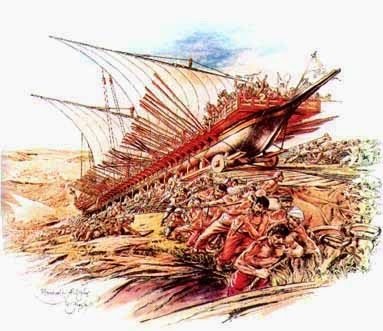 It had just 15 banks of oars in bireme formation, and 60 crew at two men per oar. Fustas carried 40 infantry sharpshooters and boarders. 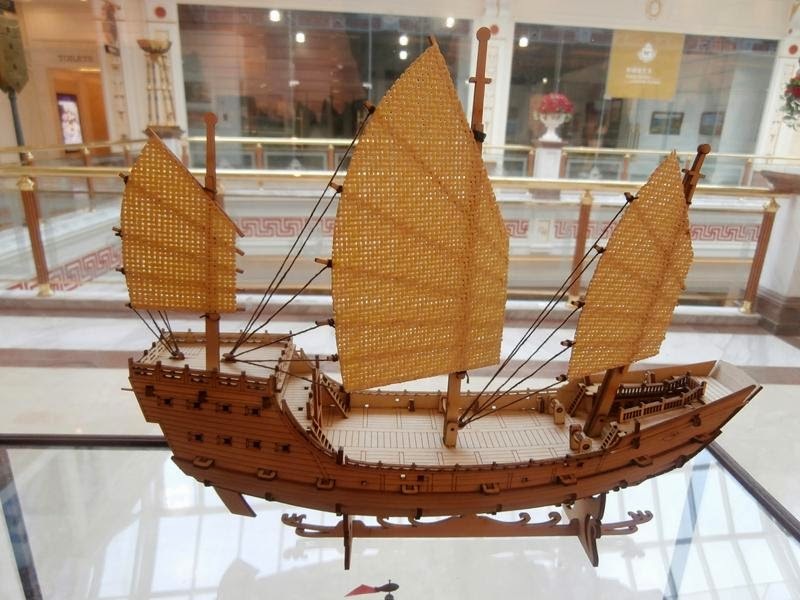 A large Chinese junk, built tougher and stronger than the Fujian class and used for coastal and oceanic trade. They were well-armed with a variety of anti-personnel weapons, but given their weak hull design they could not support heavy, ship-killer broadside artillery. Some had long oars (‘‘sweeps’’). A small oared warship descended from the Viking longship and in use for over 1,000 years, into the 17th century. Their main role was in lightning coastal raids and amphibious assaults in the isolated West Highlands and outer islands of Scotland. A small Spanish reconnaissance ship. They were an integral part of most treasure fleets. The type was closely related to the zabra. A Spanish supply ship. They were used between colonies as well as between Spain and its overseas holdings. They also accompanied the great armadas and treasure fleets. Originally, a small sloop-like warship, predominantly a cruiser in shallow coastal water. 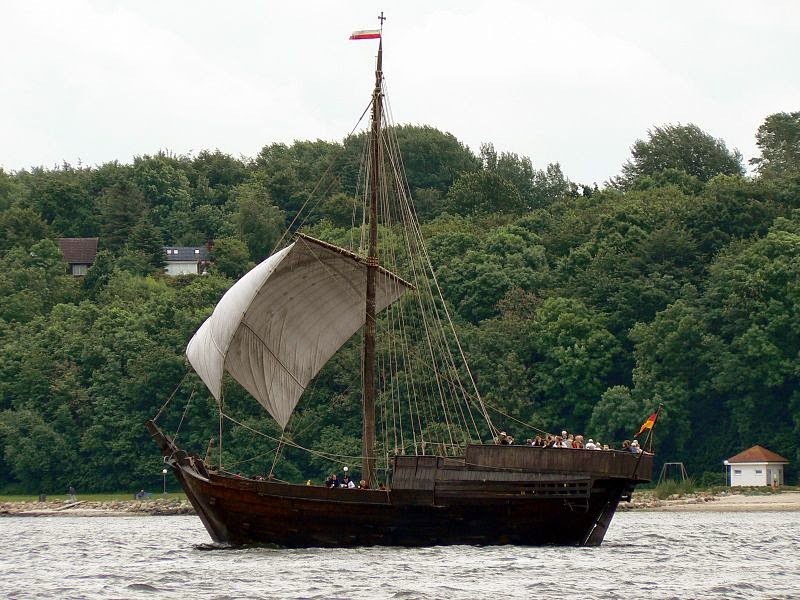 In the 16th–17th centuries this term was used more often about a small class of ship’s boat. A flat-bottomed, long-distance oared transport used to carry from 25 to 40 cavalry mounts. Their great advantage over round-bottomed sailing ships, which could carry 100 or more horses, was that they were amphibian: their horse cargo could be unloaded directly onto a beach where a round-bottomed ship needed a secure harbor. A small (80–100 tons) two- or three-masted Spanish warship. The type was closely related to the patache. Most sported lateen sails and were fast ships. They were used in reconnaissance and for carrying messages or supplies between slower hulks and larger warships. The Spanish deployed a full squadron of zabras and pataches as part of the Invincible Armada.